Hi Friends! 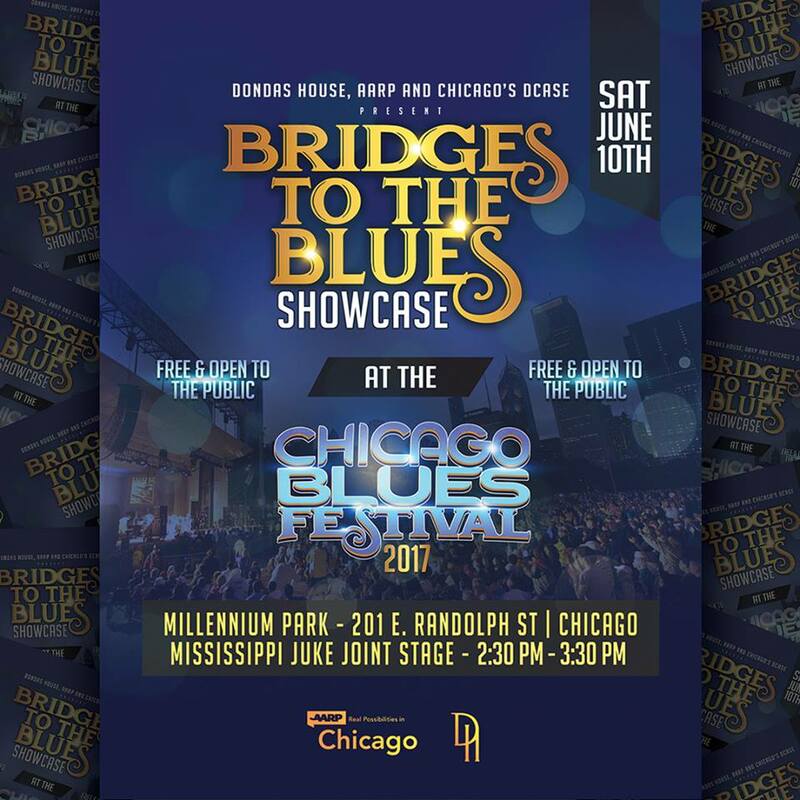 Here are the details to my performance this Saturday, June 10th at The Chicago’s Blues Festival. I am scheduled to perform with my collaborators at 2:30pm featuring original co-written & produced music under the artistic direction of Oscar & Grammy winner Rhymefest via Bridges to the Blues. Look for us at the MISSISSIPPI JUKE JOINT STAGE at Millennium Park. (1/2 block east of Michigan Avenue on upper Randolph). This program is produced by Donda’s House Inc and sponsored by AARP. Join me and other fellow musicians as we give a new spin to the Blues.